You want to be the next big thing. A beauty professional who’s a star in their own right. You have the raw talent, but you need the technical skills and business training to get there. At Penrose Academy, you’ll get a customized curriculum curated by leading international beauty experts, with a focus on essential business skills to market yourself effectively. Through meaningful educational experiences, Penrose Academy educates, empowers and connects you to your professional goals. Learning more about our Cosmetology Hybrid, Hair Hybrid, Esthetics, Nail Technician Hybrid and Laser Technician programs is your first step towards a career in the professional beauty industry. Training at Penrose will expose you to a world of new possibilities; explore your potential. Penrose Academy is a trailblazer, so it's no surprise that we offer the first approved Hybrid Cosmetology program in Arizona. Get a blend of classroom and online training, and plenty of first-hand, on-the-floor experience at our Student Salon. Penrose Academy is now offering a Hybrid Hair program. For those of you who're interested in becoming a Hair Stylist, and want to focus solely on that, then this program is for you. Learn cutting, colouring, perming, styling and more. Learn the art of Esthetics. With this program you'll delve into the scientific understanding of skincare. Get hands-on training, creative makeup training, and professional development core-skills as well. Become a Certified Laser Technician. Learn popular laser procedures both in the classroom and hands-on in the Student Medical Spa, as well as medical surveillance practices, patient charting, and more in only 11 days. Learn the techniques as well as the science, artistry, design, ecology and safety procedures that are essential to becoming a Nail Technician. Also learn professional development skills to market yourself effectively to customers and salons. If you've been in the professional beauty industry for a few years and you're considering taking on an instructor role, this course is for you. Become a Beauty Educator and train the next generation of Cosmetologists. If you're already a licensed professional and you're looking to gain specialization in a certain procedure, then Penrose has you covered. We offer workshops on popular, niche beauty techniques that are trending right now, such as microblading and airbrush makeup. Learn to become a well-rounded beauty professional who’s as talented as they are business savvy. We cover customer service etiquette, strategies on how to market your services, resume writing, financial awareness, and business management – all of which can be applied to your area of specialization within the beauty industry. Develop your portfolio and hone your creativity with Penrose’s editorial events. Wander + Wonder, our editorial styling and runway event, allows students to showcase their work in a live art gallery setting. Let your imagination run wild when you and your team create hair and makeup designs based on motifs from Broadway, Television or Film inspired events. You want to get your “foot-in-the-door” of the professional beauty industry, but you’re not sure where to begin. Penrose Academy’s Student Services department has your back. We offer a Career Fair to expose you to a diverse group of industry owners and employers in our city, which allows you to make connections with the owners and management. Right off the bat, I knew Penrose would train me to be the best professional I could be. I knew from their high-end product lines and relationship with Bumble and bumble that I would be getting the best training out there. The focus on business and culture was also really important to me; that would be my edge when looking for a job. 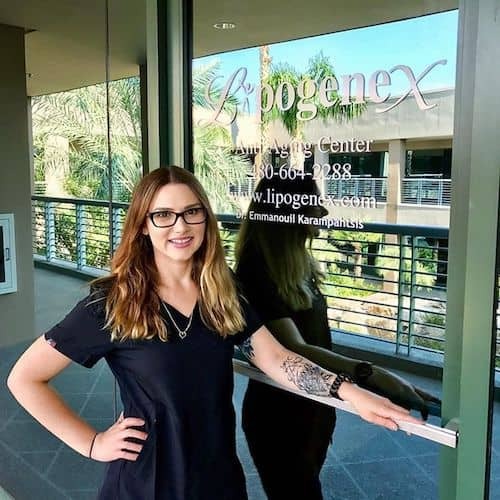 Rachel overcame many challenges in order to complete her Esthetics and Laser programs at Penrose Academy. At age 18 she battled melanoma, which inspired her to educate people about the health and wellness of their skin. From there, Rachel worked 3 jobs and moved back home with her parents and baby brother to pay off her previous loans from NAU, all while attending school. She graduated with top grades and has since developed a fruitful career thanks to her training at Penrose Academy, and her determination to be successful. If you’re interested in learning more about Beauty and exploring if this is the right path for you, fill out the form to receive more information or take our online training readiness quiz! For immediate questions, give us a call at 480-222-9540.